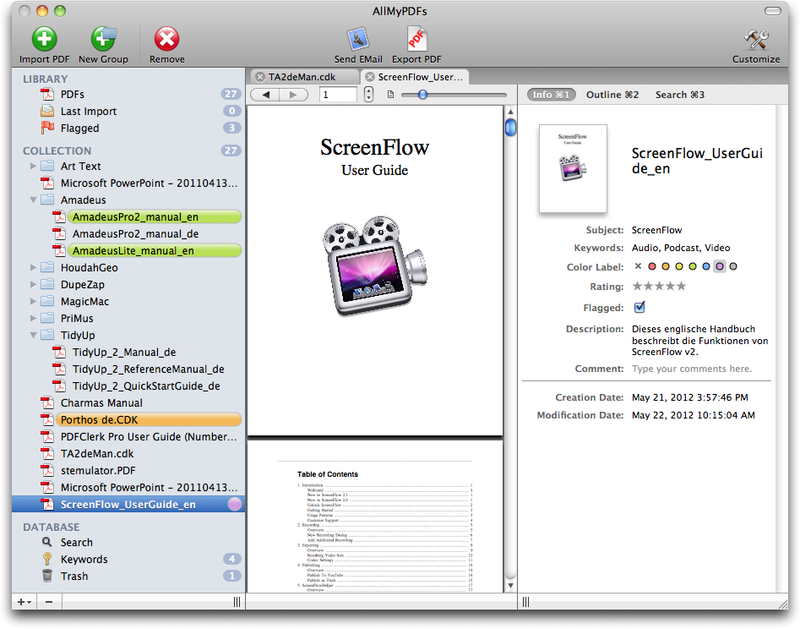 AllMyPDFs is the perfect place for all PDFs. Use AllMyPDFs to easily get access to all your PDFs, find contents, flag or rate important PDFs and read them in a convenient PDF browser. 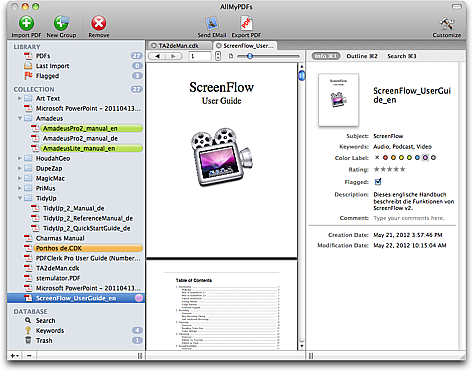 AllMyPDFs manages all data of your PDFs in a central database and cares for saving all data immediately after you have changed them. All PDFs can be searched easily and comfortably in the database. The application got new icons.